My book was wallowing a bit lamely, what with having a plot full of holes, like a fish with half its bones missing. Then I had a bright idea of putting a sub-plot in from a historical event and the whole thing inflated like a puffer fish and took off with me in pursuit. Better than that, the POV character is a crook, so much more interesting than some virtuous hero. Being a crook, he's extra sensitive to other people who might be dodgy too. I like him, he's sort of funny (even though I know he's not real and I'm just channeling some crooked, funny side of myself) and a good foil for my scholarly John Dee. The story is legitimately set around real events, which are actually rather stranger than than I'm going to make them. Our main antagonist, for example, was actually born five years after her father died. I like the idea of the character who exists in both the sixteenth century and the modern day to sort of collide in the middle of the book, when I match them up. Should be fun. My teenage character is getting less of a point of view and is being downplayed a bit, while I develop the main character. I write my smaller characters more vividly than the central characters, I don't know why but I've noticed lots of people do. Even published authors sometimes leave the main characters a bit unfocused. Tonight we had a great talk by two editors from Working Partners who offered a lot of very useful advice. Listening to one of them, Sara Grant, talking about her journey to get her book, Dark Parties published (coming out soon) was inspiring and entertaining. An extract from the novel was published in the first Undiscovered Voices anthology (2008) published by SCBWI (which is sponsored by Working Partners). It was a fantastically energetic round up of another way to approach getting published as a children's writer, which wouldn't have made a lot of sense to me a year ago, because I have always written children's stories. I just never took it very seriously (oh, but doesn't everyone knock out short stories, poems and plays for their children? Apparently not.) but I am really enjoying writing a piece for my assignment about a girl who has to fit into a completely different way of life, and her relationship with a talking bird. We also listened to the process of getting our dissertations underway, which was a bit daunting. I have had one of these helpful pep talks already, but promptly went into denial anyway. Silly me. What dissertation? I had had my literary ducks in some sort of a row, and then a fox got in and scattered the lot. It seems that a completely brilliant sub-plot will just lift the story but I have no idea where it will all go. Plus, despite my best intentions, my characters have an odd tendency to morph into whatever actors I'm watching on DVD. At the moment, Richard Armitage is giving all my characters a Northern accent after watching him play Thornton in North and South. Great, great ending by the way. Why don't real men kiss like that? Now I have to get on with assignments so I have some 1st drafts to work on over the Easter break. I really shouldn't be sitting her moving white cards around, occasionally replaying that final scene in North and South. But I haven't seen my own 'Mr Thornton' for weeks and weeks and I have to wait until Thursday for our reunion. Back to work. Here is my tried (and tried and tried) and slightly tested method for plotting a novel. Have a brilliant idea for a story. Play around and see if it's still a good idea for a story a week later. Hopefully it still feels slightly interesting by week 2 after which you will begin to lose hope. Taking little coloured cards, map out scene by scene, your characters' journeys, different colours for different characters' POVs. Sit down with card one and write the scene, allowing it to veer a tiny bit from the plan, but that's OK because you can modify card two. Which then means cards three to six need modifying and cards 6a and 6b need to be created. Write the scene from card two,trying to keep it on track even though it wanders wildly down a much more exciting path and your character turns out to be a lot bigger and bossier than you expected. On card three discover that your second hero character is actually the antagonist. throw cards away. Write completely unplotted for 45,000 exciting words, following a rollercoaster of an adventure. Some bits are wild knuckle rides, some bits are look-out-at-the-view and eat your sandwiches. A few bits are sit-quietly-twiddling-thumbs and have no tension at all. Rush for the ending which has eluded you, but it now seems inevitable that the protagonist gets eaten. Rework the last 20,000 words so the antagonist doesn't get eaten, but now seems that the protagonist will have to eat the antagonist. This wasn't supposed to be that sort of book. Scrap whole book. Go and sign up for an MA so you can learn to plot. Start writing again but slower. Start MA and tart up a few chapters. Realise they are hopelessly unpaced. Rope in eldest son (mine) to write a synposis broken down by chapters. You will immediately see the wallowing-in-the-doldrums middle chapters. 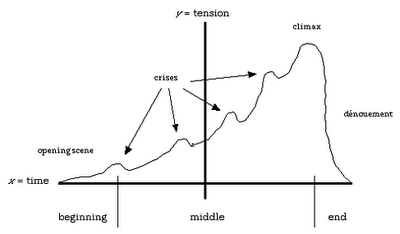 Use Vogler's mythic structure to loosely map more rising tension. 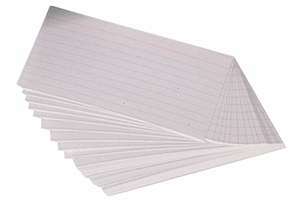 Get some white cards (is this the magic trick to plotting?) and put each scene on one. Organise into some sort of sequence and into chapters. Highlight wallowy scenes. Rewrite synopsis from white cards (which I'm sure are significant) moving them around and bringing the tension up. Explaining the loose ends and pruning out others before they even start. Cut out two small characters completely. One of them will have to be rewritten in when you realise the ending doesn't work without them. Make the ending much, much bigger. I am optimistic that I have something I can write from, anyway. At least if I write scenes I can just move them around and my first draft gave me a clear picture of the characters. It can't be worse than getting to the two thirds of the way in a book and realise you are completely lost. who shrieked and gossiped round dory hulls. by tide etched shore in sandy bars. as we sit, cooling, on the garden stair. as we sat, cooling, on the garden stair. We sat, on slated steps, to watch the light. The book is back on again, having thrashed out a new sequence for the scenes and put them in chapters. I now have an extra POV (point of view) character who has three chapters of action no-one else can see. I also have a few chapters where the action switches from one character to the other with changes in POV. Now I'm working on writing up each chapter plan into a big overall plan, and the process is sparking ideas for the writing too. A new first chapter is writing itself in my head - I'd better write it down while it's fresh! My week is looking fairly busy with things on every day until Saturday but then I've got a few days off before heading back to Devon at the following weekend. I'm back on my feet after a three day enforced break. 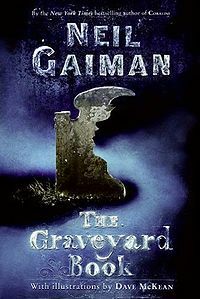 I managed to read A Graveyard Book by Neil Gaiman while I had the migraine - in bit sized portions - and loved it. 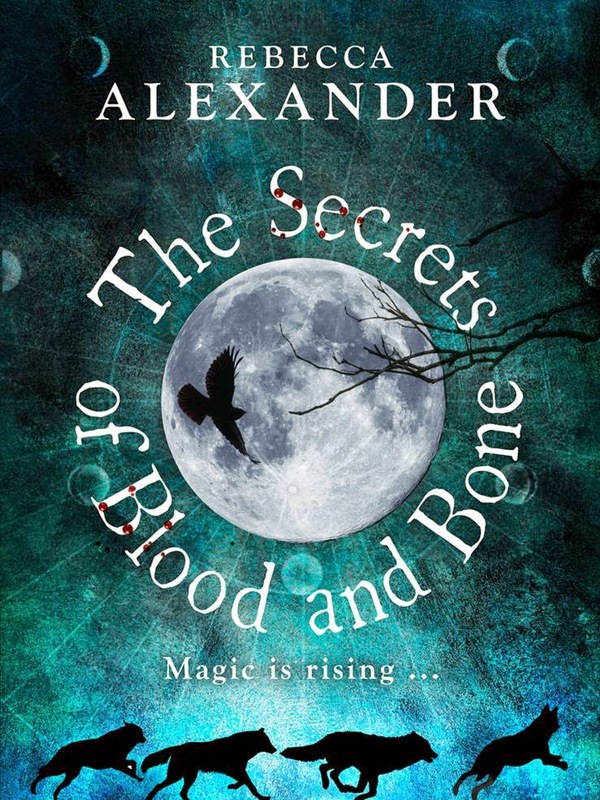 What an imaginative book, that plays with the idea of family and ghosts and prophecy and all the usual monsters (werewolves, vampires, ghouls) but in such imaginative incarnations. Highly recommended for children and for adults, though the older you are, the more you'll need the light on at bedtime. Working on my poetry for TMA05, I've reworked a very painful scene from a bit of fiction I wrote last year about my sister's funeral. I don't cry easily, but something made me cry all day that day, as if something I'd been hanging onto for years was untied. The poem was very simple and not very good, but a few lines stood out and have become a pantoum that fits very well with the sestinas I've written. Pantoums make you repeat lines, so they have to be flexible enough to fit with different meanings but good enough to be worth repeating. I'm completely homesick today, I haven't been home since January, and I'm playing Ludovico Einauldi's Divinire, which I last played at home, the curtains drawn, the fire lit, and the scrabble board out. Music, like smells, can evoke the past so intensely. It's only thirteen days before a Bear turns up to take me home. I'm taking some stuff with me, books and DVD's that I've read, winter clothes... to make it easier to move back home in June.Then a whole month of music and scrabble... and a few assignments, and the children. I miss the view from the window, I never tire of looking over the nature reserve, listening to the river, watching the birds. Week 6 of Fantastic Fiction was a bit different. We sat in the dark while our tutor read us a ghost story by candlelight. Having discussed Breathe by Cliff McNish, which I thought was excellent except for the cop out ending, we talked about ghost stories and how they work. We have homework - to write a short ghost story from simple prompts. That should keep me busy, along with the assignment. I'm in the tail end of a three day migraine. The throwing up, throbbing headache, seeing stars kind of migraine. One of the strange side effects is intense and very imaginative dreams, some of which are nightmares, but one of which was me telling my dead daughter the plot of a chapter in my book. Which I hadn't actually written in my comprehensive plan of last week. It was such a good scene I sat down and added it to the plan, which involved turning the screen brightness down to 25% and leaving the curtains shut. Now I've had a chance to review it, I've discovered it's a really good chapter because it creates a more satisfying ending to the story. There was going to be a big battle and then everyone would go home for tea. The problem with that is, it leaves lots of unanswered questions, and while I think that's often quite good, it's nice to tie up some of the main ones. The main character, at least, needed to have a future and win a battle of her own. Otherwise she's a bit passive in the whole process. Despite having had to go back to bed this morning (the birds in the garden where screaming at the top of their lungs, who thought chaffinches and robins could be so loud?) I've still woken up with a few more ideas. Lying in bed because standing up makes you feel sick but not being able to sleep, gives you more time to think. I suspect that's at the root of my problems in writing - I spend more time writing that planning or thinking about what I'm writing, I tend to think at the keyboard. Back in Devon, I used to think while I went on long walks, but there's fewer places to walk here, and they are all full of people which reduces thinking time. Having had to ask for an extension for my poetry assignment for the OU, I'm gradually reading them out loud and working on them. I can only read for a few minutes because they are such bright white pages, but that gives me a bit more breathing and thinking time. Maybe I should have a migraine more often, or at least act like I have one. Or disconnect the computer for the odd day and go back to pen and paper and thinking time. Speaking of birds, I have been kept awake by the night-time chorus, which I have never heard before. It appears that in urban areas where traffic noise is high and constant, birds are marking their territory by singing at night when it's quieter. I assumed this fairly new phenomenon would be more likely to be due to light pollution - although that has been building up for many decades and is currently reducing - but noise seems to be the main factor. Anyway, it's amazing and it's not just robins, at 3am I could make out blackbirds, chaffinches and pigeons as well as the robins. Bird noise in the days is mostly pigeons and jackdaws, magpies and a very loud jay that sits in the tree outside my bedroom window. It is strange not to be woken by gulls, but I'm living a long way from the sea now. Anyway, my head's had enough of the screen... looking forward to normal life again, this started on Monday! As he started out in the poetry publishing world he found most poets being published were the same group of mostly male, mostly Oxbridge educated poetry. After the explosion of European and American creativity in the 1960's, the 1970's had closed down into a very small, insular world. In 1978, Neil founded Bloodaxe Books. The company has gone on to publish more female and ethnically diverse poets than any other imprint: and more than 1000 poetry books in total. The 2002 anthology Staying Alive has sold a staggering 200,000 copies to date. 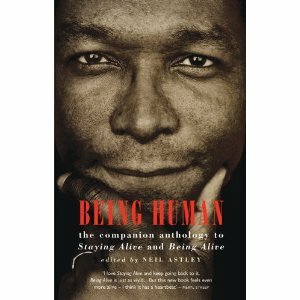 Being Alive, the sequel, was published in 2004 and the last in the trilogy, Being Human is published in March 2011. Bloodaxe publishes 30-35 new titles a year and receives 100 poetry book submissions a week. They have to balance supporting their existing authors with developing new talent, a tough job. Astley still reads at least a sample of every submission, and the best ones he reads a number of times. Many published books start as unsolicited manuscripts arriving in the post. Subject matter - he suggests that life, death, earth, love and humanity are good starting points. A lively communication between intellect and emotions. Then he looks at the technical writing skills in the collection. Too many poets haven't edited, honed and polished their writing. He suggested that sending in a complete book was the last thing you should do. Instead, consult with the Poetry Library and read online samples of magazines. Start sending batches of poems off. He suggested you can't send a poem off to more than one magazine at a time BUT if you have a large collection, you can make multiple submissions of 'samples' to different publishers for them to follow up if they like you. They are not widely read. Poets need to learn by immersing themselves in a variety of poetry. Many submissions are rhymed, for example, with little attention to whether they scan. Or they sound like they were written 100 years ago. He suggests reading widely in contemporary poetry. The submission is premature. the poems are still raw, and untested in the world of magazines and chapbooks. Poems need time for you to see all the areas for improvement. Get people to read and critique your poems before sending them out. Don't send brand new stuff out. The poet didn't research the publisher. Read magazines, read books. Approach the publishers of poets you admire and perhaps have informed your own work. The poet didn't learn the craft of poetry, however inspired he/she is. Many poets need to learn their craft and test it against feedback. He recommended courses, groups, the Arvon courses, Ty Newydd, university study. Many poets have been helped by being mentored by poets who also teach. He also talked about working towards having a pamphlet or chapbook published, which is easier and is probably the next step. If you are reading and promoting your own book, you can also consider self-publishing and he warned against getting confused with vanity publishers. No-one gets rich writing poetry. He pointed out, few poetry books sell over 1000 copies and the poet makes little money out of the whole adventure. I found the whole talk inspiring because he was so pragmatic about the process, emphasising that he wants to hear that new voice, those new poems, and encouraging the poets in the room to progress with their writing. More than anything, I was left with the impression that he's still, after more than 30 years, passionate about poetry. and I was given the Christopher Vogler Mythic Structure overview and from those two I think I have met all the basic requirements of the novel. I noticed that I was introducing characters along the way that didn't add to the action and then needed stories of their own, so I've cut those right back. The action comes in waves now building up to a big, tense uber-battle at the end, and I've introduced enough moral ambiguity to make the antagonists better rounded. I've dropped some of the softer elements that lose tension and kept the story moving better. I can imagine, once I've loosely plotted the scenes and chapters out, being able to write bits. Marcus Sedgwick suggested he can write 'stepping stones' of a story once he's plotted out where they are all going to go, then he can stitch the novel together. I'm beginning to see how that would work. Apart from that, I have my toolkit assignment back and it got a good mark though not enough for a distinction overall. I don't know why I got so hung up on a distinction, really, I came to Winchester to finish a book to reasonable standard and I think I can probably manage that in the time. I always knew I wasn't going to write literary fiction but I really enjoyed writing the poetry and will continue that for myself. Somehow having it there is a bit like moving to the foot of a mountain, you start to wonder if you can get to the top! If I want to go onto a PhD (undecided) I really need a distinction but I'm actually finding writing so enjoyable that that is enough at the moment. I have my poetry to focus on for light relief and my plan to work on, now. It's all coming together, and the boys are doing well at college so that part of the project worked. Well, after the doubts of the week and the doldrums that followed, I'm going to get on with the beep beep poetry for the Open University assignment. (This is quite likely headed out for critique, sorry Carole.) Then I'm going to start a week of planning for Borrowed Time. We were handed a version of Christopher Vogler's Mythic Structure. I started glancing down it and I immediately realised how much of my novel fitted into it. So I thought I could use that as a starting point to replot my novel, starting further back in time to explain how Sadie came to be in the position she was in. I thought if I could plot Borrowed Time then I could start plotting an alternative novel if needed for the dissertation. I realised how little time I spend thinking and how quick I am to sit down and write. For the poetry TMA I am working on an unrhymed (well, a slant rhymed anyway) sonnet. It's hard to know whether by removing the rhyme you make it not a sonnet. The Big Blue Book suggests you have to give it more of something else if you're going to lose the rhyme. So, the volta as line eight, maybe a basic iambic pentameter structure even if it gets played about with a bit. I'm relying on Paul Muldoon's Quoof for how far I can stretch the form. It doesn't stick to the iambic pentameter, it doesn't formally rhyme but the slant rhymes are there and the volta definitely. Breaking it at line 8 into a slightly differently focused sestet works too. with a harbor that harbored an old grudge. Every sale was a selling short. from the Dandy to the Rover. with the weekday train timetable. Where every lookout was a poor lookout. Every rill had its unflashy trout. Every runnel was a Rubicon. I'm working on the notes I got from the session with Myra Schneider. Like Elizabeth Bishop said of structured poetry forms, 'They seem to start the machinery going'. I’ve come to a painful crossroads. I did have a really good idea what to do for the dissertation. I was just going to put together a big chunk of Borrowed Time and refine it into a good piece. BUT then I handed in chapters 1 and 2 for the advanced fiction assignment. A. I didn’t get the highest mark I’m capable of. B. I’m terminally stuck at chapter 13 anyway. C. Marcus Sedgwick made a lot of sense on Wednesday talking about planning. The truth is I’ve written loads this semester. Half of it is poetry, half is children’s fiction. I had a good look at Borrowed Time and I know what’s wrong with it. I started it last January. My writing has moved on a lot, but Borrowed Time has inherited the weaknesses it had from the first draft. It also started out as YA, maybe began to look more adult then squeaked back to children’s. It’s got some identity issues. It’s started in the wrong place. The pace is very uneven. I need distance from it. 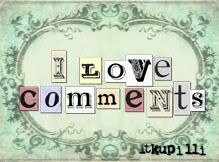 I need to write something completely different. This is a bit of a challenge because I haven’t got that much time and I am over committed already time-wise. So I’m hoping to plan a new novel, perhaps for children. As well as TMA05 which for non-OU people is 100 lines of structured poetry: either sestinas, pantoums, sonnets or villanelles. I have two assignments for the MA to worry about. I seem to keep up with reading and writing for poetry and fantastic fiction but completely new writing is more of a challenge. I’m spending a bit of time reading more Sedgwick books and Garth Nix for children’s fantasy and I do seem to find ideas. Meanwhile I thought I could play around with Sadie from a younger reader’s POV, maybe about 12 upwards. I’m a bit lost with it at the moment to be honest. Last night the MA students and others enjoyed a visit by the children's writer, Marcus Sedgwick (I have raved about his books in the past). I took notes in case he said anything relevant or interesting to my own writing. Eight pages and writer's cramp later I can say I learned loads. He was a warm and engaging speaker, which helped, but his talk about his writing process, and a very candid and informed insight into the publishing business were incredibly helpful. He also read from his latest manuscript, an engaging story which has episodes going back in time. I also, so I would be prepared, read one of his 'Raven Mysteries' series, and laughed all the way through. I had never thought of writing for younger children (I only considered writing adult books six months ago!) but I have always loved books by Philip Ardagh, for example, very tongue in cheek stories that are fun to read aloud. 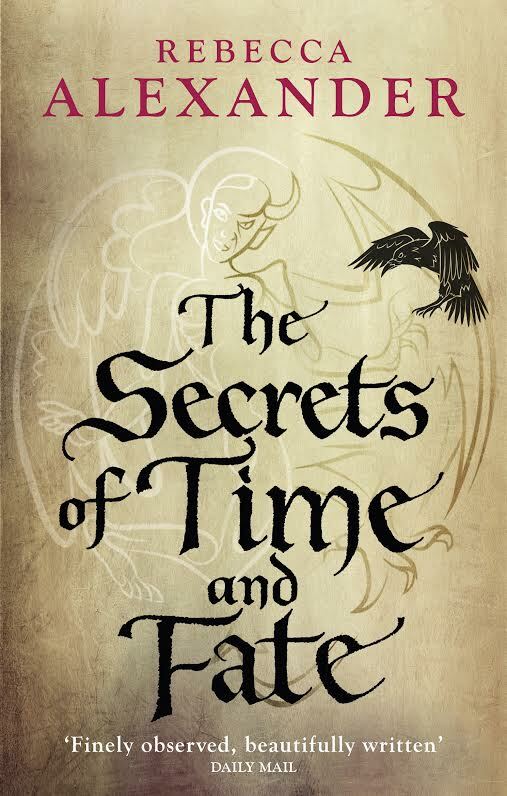 The protagonist, Edgar, is a magical raven whose point of view flies us all over the castle and the eccentric occupants. I loved it. I also got the connection between the illustrations and the words in a way I hadn't considered before. 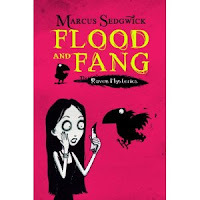 Marcus has a wealth of experience of the publishing industry and shared his knowledge and ideas freely. The impact of electronic distribution of books in digital format remains an unknown factor, but he sounded positive. He was less positive about the parlous state of bookselling in this country - with Waterstones, W H Smith and Amazon holding almost all of the market, and independent chains already squeezed out, there is little competition. Supermarkets demand massive discounts, writers are earning less and less from their writing. Public speaking events, school visits etc. take up so much of his time he hardly has time to write. He did pose a question that I found painful to answer. Talking about marketing, he suggested if you have a personal connection to your book that might be an angle for the publishers to promote it. So why do I write the books I write? The truth is Borrowed Time is about second chances and sidestepping death. It's also about living with a disability, living with death dogging your footsteps. My eldest daughter Léonie lived with death, and beat it back for eight years with such joie de vivre, such enthusiasm for life, that it was hard to believe when she finally died. The topic came up on the poetry workshop the other day, the final minutes of Léonie's life as she slowed down and stopped. Sadie is a grown up version of Léonie, making the best of a bad job and eventually flying with the few feathers she has left. Does that make me Jack? 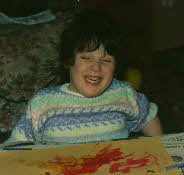 There's an element of a younger me there, maybe. Do we write ourselves and our loved ones into all our stories? It's hardly an angle I am going to exploit as a marketing ploy. A part of me will always be sitting in a hot room, listening to Léonie breathing. The rest of me may have grown up (and grown old) and moved on into a new life, but it's always there, in the back of my writing.